What should you do? Liberapay recommends that every user evacuates the money from their account before July 26th. So, I'm relaying this message here to make sure every supporter of Pepper&Carrot gets the information. Log in to your Liberapay account, and you will get a notification with a longer explanation and instructions on what you do with your account. The Liberapay team also sent an email to every user, but I thought best to help spread the word. You can find more information in this official blog post from the Liberapay team. On my side, this source of donation really helped because it was regular: weekly rather than triggered by the release of a new episode. For sure, my budget will be affected on the long term by this interruption of service.... but not on the short-term: when I logged in this morning to my Liberapay account, I saw more money than usual, sent by anonymous donors to compensate the interruption of service. So, let me send you a big thank you! I can now focus only on the production of episode 26. License: CC-BY David Revoy, www.davidrevoy.com, 17 july 2018 . Thank you for passing on the blog and for your comment! I subscribed to thread https://github.com/liberapay/liberapay.com/issues/1171 , I'll follow the progress. Good luck with that! I really hope you'll find a new payment system to make the service operational back. Wow, such speed :) Nice quick drawing. Just to maybe correct your thinking: the more money on your LP account is probably not compensation for whatever. LP provides to send all the money on your account to all receivers in proper ratio. So when I planned to support you 10€ / week and had 100€ for you on my account, you probably got all the 100€ at once. But you have to realize, that it is actually for 100 / 10 = 10 weeks. So divide that extraordinary income by the usual week payment and you will see for how many weeks it probably lasts. You can of course spend the money all at once if you wish :D, but be prepared for less income in future weeks. I hope the LP solve the issue quickly. Now I understand better all the noises on my notification and the source of the sudden income. In practice, it helps a lot as I wrote on the article: I'll use this budget to smoothen the transition and it solves the short-term. Thanks also for that! Have you considered moving (or being on also) Webtoon or Tapas? @Silka: I don't really like the webcomic platform like that. They often have weird condition when an artist apply; and I'm never sure if it is really CC-BY compatible. 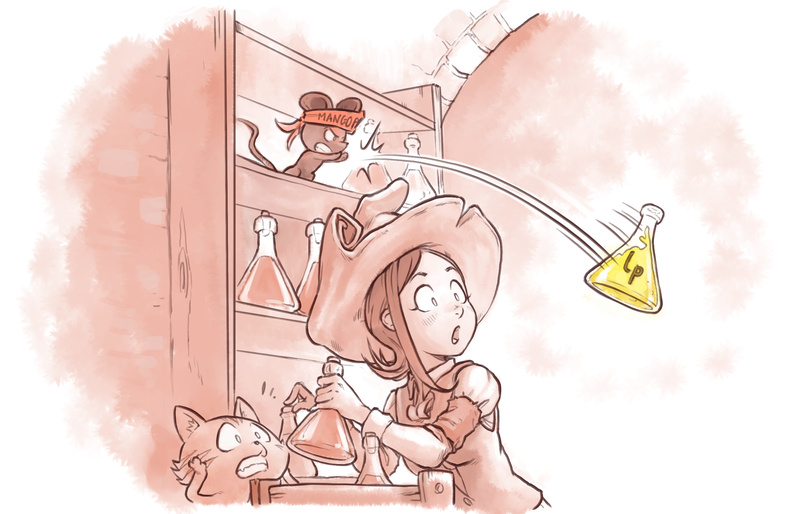 What benefit I'll have by spending more time on posting Pepper&Carrot on another platform? (serious question; I'm ignorant about this platform, I would really like to know the benefits they bring). Did you consider maybe making your comics a little longer? I ADORE your pepper and carrot comics!!!!!!!!!!! !